La Jolla | . Owner Matt Rimel brought local beef back to San Diego by raising grass-fed cattle in the Palomar Mountains. At his shop, beef is dry-aged in-house. Choose any cut you like—plus wild game, pork, lamb, wild boar bacon, beef jerky, and chicken. Our pick: Juicy, housemade bratwurst, chorizo, or Italian sausage. 7660 Fay Ave.
Berkeley | (pictured). This shop takes its name to heart. All meat comes from ranches within 150 miles—pork from Riverdog Farm in Capay Valley, grass-fed beef, pasture-raised turkey, and goat that grazed along Tomales Bay. They also carry local favorites like Studebaker Pickles from Oakland, and beans from Sonoma’s Rancho Gordo. Our pick: Sando of the Day and a chocolate chip cookie made with lard. 1600 Shattuck Ave.
San Francisco | . 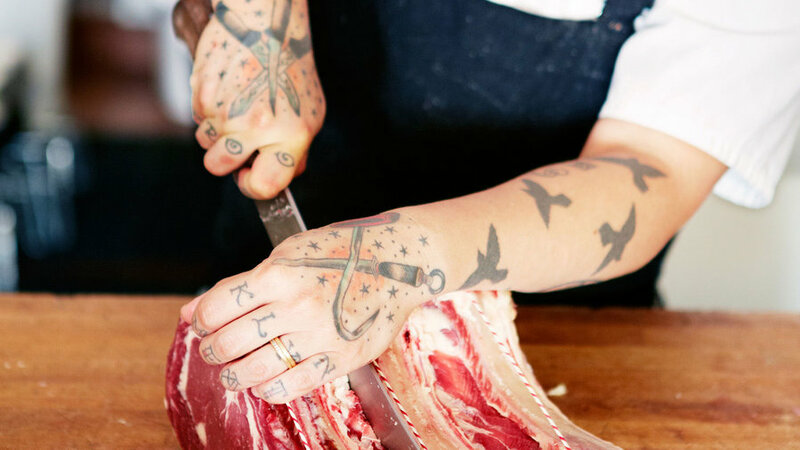 This old-school butcher shop has been taken over by a trio of women with a serious commitment to local meat. The staff here breaks down whole animals several times a week and even offers classes in home butchering, should you be the DIY type. Our pick: A lesser-known cut like goat neck or bavette steak. 235 Cortland Ave.
Sebastopol | . In 2009, Adam Parks came home to take over his parents’ 40-year-old Christmas tree farm. In the process, he turned an unassuming shack in front of those evergreens into a purveyor of some of the most coveted meats around. Chickens live on-site, while local farmers sustainably raise beef, pork, and lamb for Parks. Good news: A second, bigger shop and full butchery will be coming to downtown. Our pick: Victorian’s own Cabernet and roasted garlic marinade. 1220 Gravenstein Hwy. N.
Portland | . The reason this East Portland butcher shop is open until 10 p.m. is not to satisfy late-night liverwurst cravings. It’s just practical. It’s attached to one of the city’s best steakhouses, and the dinner crowd sometimes wanders over. The meatheads behind the counter excel at making every bit of an animal taste good: hand-stuffed sausages, house-smoked bacon, lardo, pastrami, terrines, and hams. Our pick: Tuesday’s crisp, juicy fried chicken. 3155 E. Burnside St.
Seattle | . Plump sausages, meatballs, pâtés, and cuts of beef, pork, lamb, and chicken—everything in this modern butcher shop is raised sustainably. The flavorful beef pho broth makes stirring up a pot of the Vietnamese soup a cinch. (Just add beef, noodles, Thai basil, and bean sprouts.) Our pick: The pumpkin sausage, with sage and molasses. 1531 Melrose Ave.
Walla Walla | . 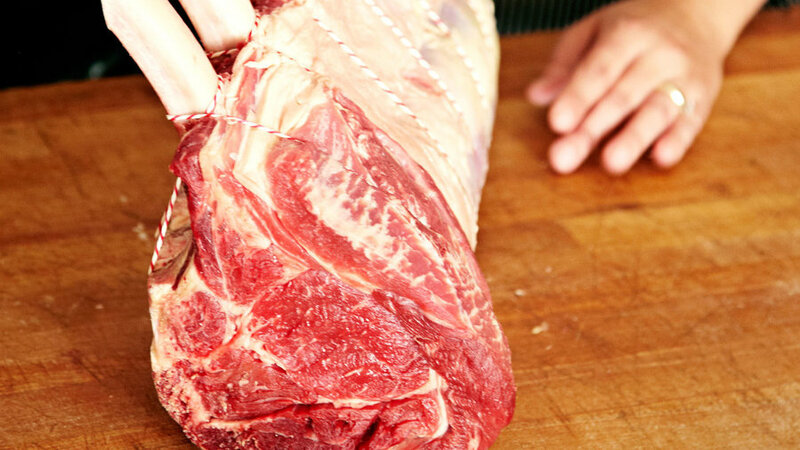 These butchers know the local ranches, which cuts are best, and they custom-slice. They use top-quality meat, like the Pure Country pork in their Toulouse-style Pine Street sausage, and the Waiilatpu Mission Farm beef in their Italian-style marinated chuck roast. 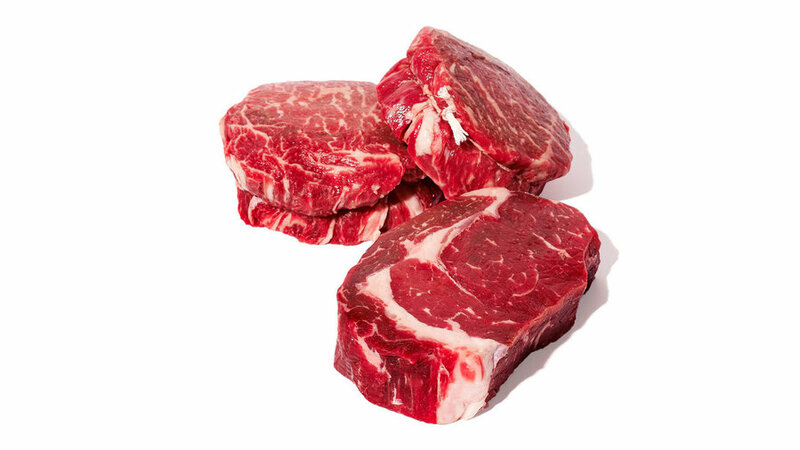 Our pick: A sirloin cap steak, seasoned with the house grilling salt you jar at the seasonings counter. 1162 W. Pine St.
Salt Lake City | . Owner “Big Willie” Wilson can trace his family’s history in the biz back a century, and he carries on the tradition from behind the largest meat counter in the valley. Quality meats are custom-cut if you like, and handed over with grilling and smoking tips from Big Willie himself. Our pick: The Santa Maria tri-tip—a marbled loin cut you won’t find anywhere else around here, flavored and tenderized in a secret family marinade. 6245 Highland Dr.
Culver City | . The cookies stacked in this tiny bakery span the spectrum. There are classics (chocolate chip, Mexican wedding), but take a chance on pastry chef/owner Jamie Cantor’s flights of whimsy (kalamata olive–dark chocolate chip). At just a dollar apiece, you can bring home a dozen or two for a dinner-party dessert tasting. Our pick: The platino, a fluffy sandwich cookie oozing rich vanilla cream filling. It’ll ruin you for run-of-the-mill Oreos forever. 10850 Washington Blvd. Los Angeles | (pictured). This place feels likes the heart of the Atwater Village neighborhood. The morning rush comes for black sesame financiers; in the afternoon, it’s the flourless chocolate torte topped with cocoa nibs. Our pick: A buttery croque monsieur tartine on fresh-baked brioche. 3156 Glendale Blvd. Pacific Beach | . 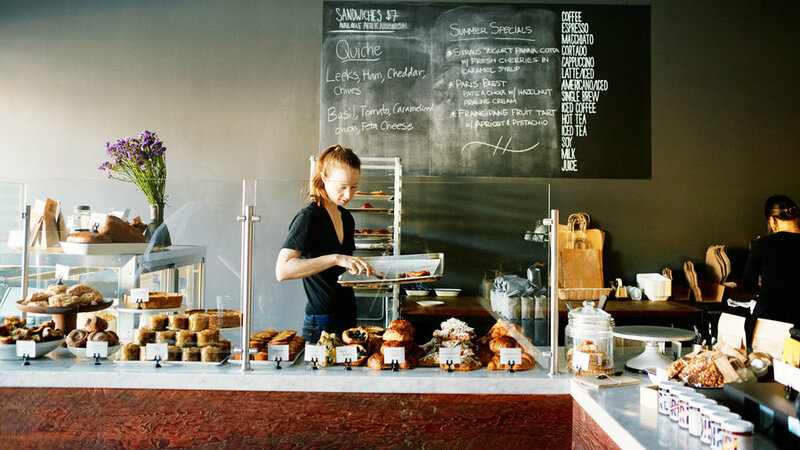 In a hipster-meets-surfer neighborhood, Maeve Schulz’s bakery is a charmingly Old World surprise. You’ll be greeted at the door by her pug before entering a haven of cupcakes and quiche, scones, and soda bread—served on delicate Irish dishes. Our pick: Schulz’s dense, buttery Guinness Porter Cake, spiced with cinnamon, ginger, and nutmeg, and packed with raisins and cherries. 1420 Garnet Ave.
Santa Monica | . 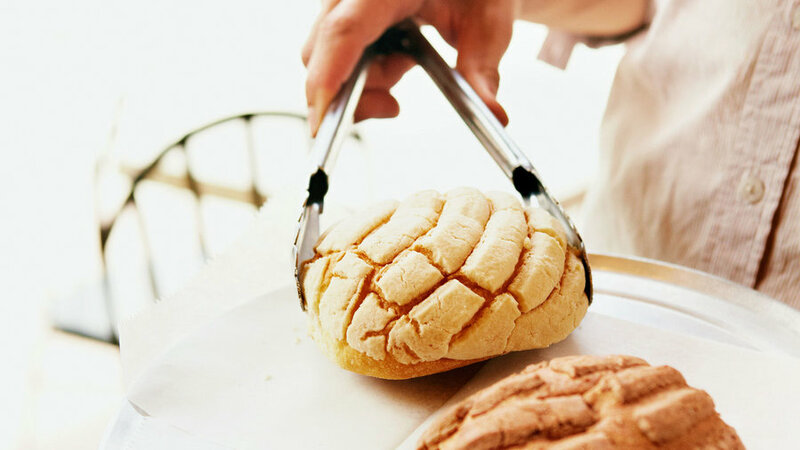 For real-deal Mexican sweet pan dulce, grab a metal tray and tongs and serve yourself the traditional way. 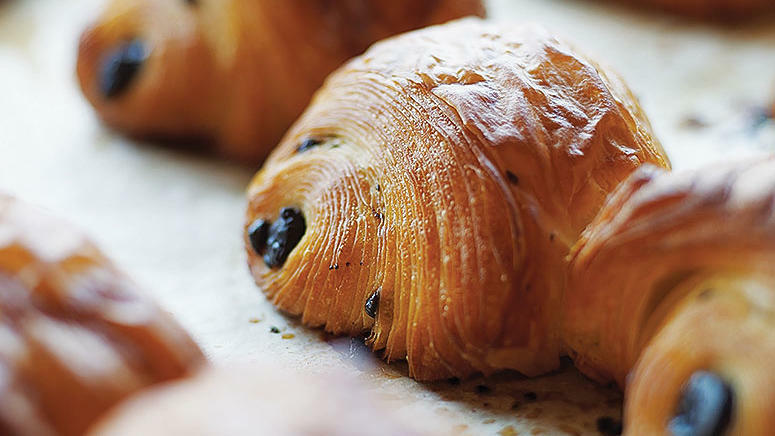 Everything in the bakery—from dulce de leche–filled croissants to vegetarian chorizo molletes (open-face sandwiches)—is made with all-natural ingredi-ents, including dairy and eggs from California, and guava, agave nectar, and organic coffee from Mexico. Our pick: A light and creamy caramel flan. 1300 Wilshire Blvd. (also in Commerce and Huntington Park). Berkeley | . The case here is filled with tongue twisters like kolachy and bulochki, and intriguing names like Fatima’s Thighs—Eastern and Central European–inspired specialties that reflect owner Elizabeth Kloian’s own Russian and Hungarian heritage, many made from recipes in her collection of antique cookbooks. Our pick: One of the subtly sweet, yeasted saffron buns. 2748 Adeline St.
San Francisco | . In a former garage in the Mission District, pastry chef William Werner has opened one of the city’s most elegant patisseries. His cube cakes, stylish squares in flavors such as chocolate/caramel/Vietnamese cinnamon, are laid out like jewels in glass cases. Our pick: A Rebel Within, Werner’s signature savory sausage and green onion–studded muffin with a soft-cooked egg at its core. 746 Valencia St.
Portland | . The T in Little T stands for Tim Healea. We’re just going to say it: This guy makes the best baguette in Portland, if not on the entire West Coast. All of Healea’s creations, from his pistachio praline bear paw to his drop biscuit (the old-school American kind, topped with lemon curd or jam), are playful, not to mention unbelievably light. Our pick: The baked currant doughnut, dusted with powdered sugar. 2600 S.E. Division St.
West Seattle | (pictured). Sure, William Leaman has been crowned the best baker in the world (he led the team that won the gold medal at Europain’s 2005 Bakery World Cup). Still, when you walk into his little bakery for a pain au chocolat, it feels like a neighborhood joint. But the man has plans: He’s working on his own butter. 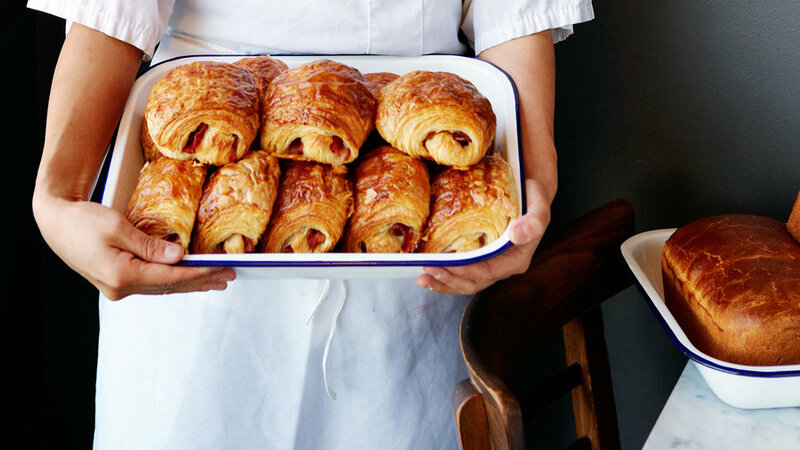 And coming soon, he’s adding housemade sausages to his savory pastries, like croissants with duck sausage studding the dough. Our pick: An heirloom tomato pastry, made of croissant dough with Walla Walla onion confit and fromage blanc. 4737 California Ave. S.W. Denver | (pictured). A slam of the screen door sends a puff of flour into the air. Then a warm, yeasty smell. This bare-bones storefront is where owner Greg Bortz kneads and bakes a dozen or so kinds of bread every day, like savory flower-shaped focaccia and lightly sour sun-dried-cherry walnut bread. Our pick: One of the signature 3-pound round sourdough boules, dusted with flour in a leaf pattern that is pretty enough to be a dinner-party centerpiece. 3200 Irving St.
Logan, UT | . In the college town’s historic granary district, Crumb Brothers offers its organic breads and pastries made on-site. Once a month, the location is home to the Bridger Folk Music Society Bakery Concert (Justin Roth on October 27). 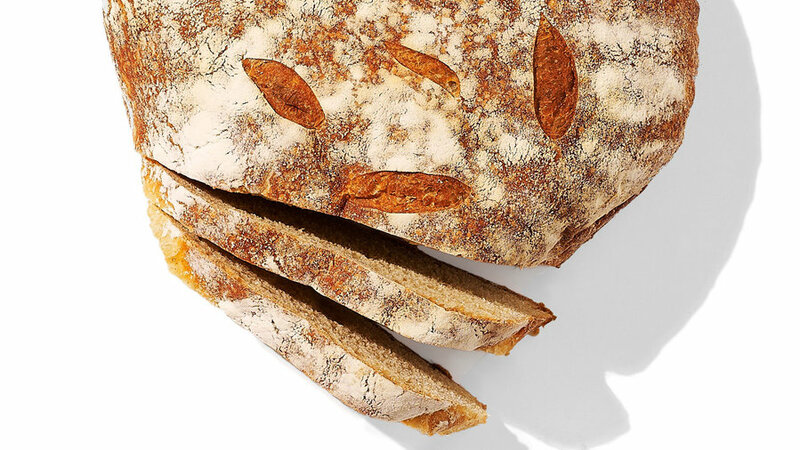 Our pick: The Decker 5 Seed—an earthy, chewy levain loaf coated in sunflower, flax, poppy, sesame, and pumpkin seeds. 291 South 300 West. Glendale, AZ | La Purisima Bakery. After more than 25 years, the Arellano family still draws a long line of customers to its industrial-efficient but lavishly stocked Mexican bakery. It can be difficult to get past the melt-in-your-mouth gingerbread pigs, but the bright pink polvorón sugar cookies are also addictive, gossamer-light delights. Another must-try are the savory and sweet empanadas. These are stuffed with pumpkin, peach, or cheese. Our pick: Delectable fresh-made tamales, topped with red or green sauce. 4533 W. Glendale Ave.; 623/842-1400. Napa | . Taylor Boetticher’s lovingly crafted meats show up on the menus of the Bay Area’s best restaurants. But this location in the Oxbow Public Market Annex is where the butchering and curing happen. Salumi like saucisson sec are the stars, but pâtés, confits, fragrant spiced duck breast, and five-spice lamb bacon are showstoppers too. Our pick: The beef jerky. It’s the best you’ll ever have. 644C First St.
San Francisco | . Chris Cosentino has built a national reputation by promoting an appetite for offal. 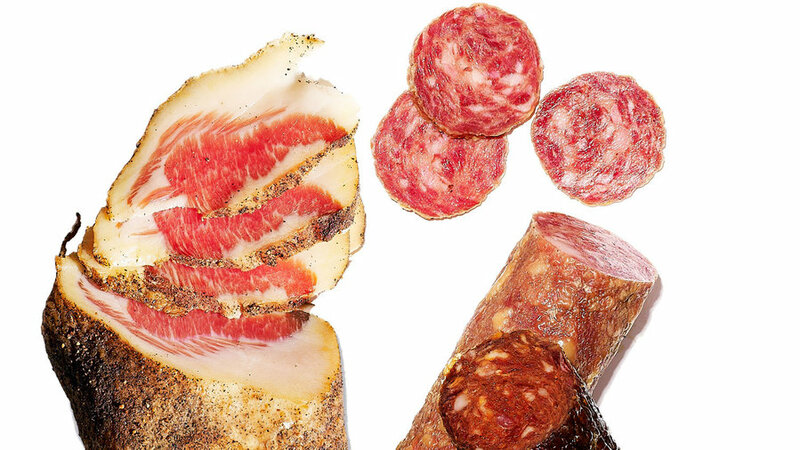 At his shop—where the tagline reads TASTY SALTED PIG PARTS—you can sample the chef’s extensive collection of salumi, fresh sausages, and ham. 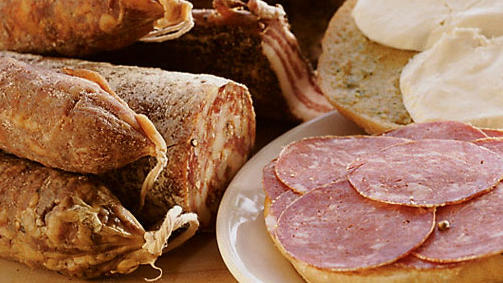 Our pick: Nduja, a spicy, spreadable salami that’s delicious on just about anything. Add it to a sandwich or melt a generous dollop with some warm pasta and chopped green olives. Ferry Building Marketplace. Seattle | (pictured). 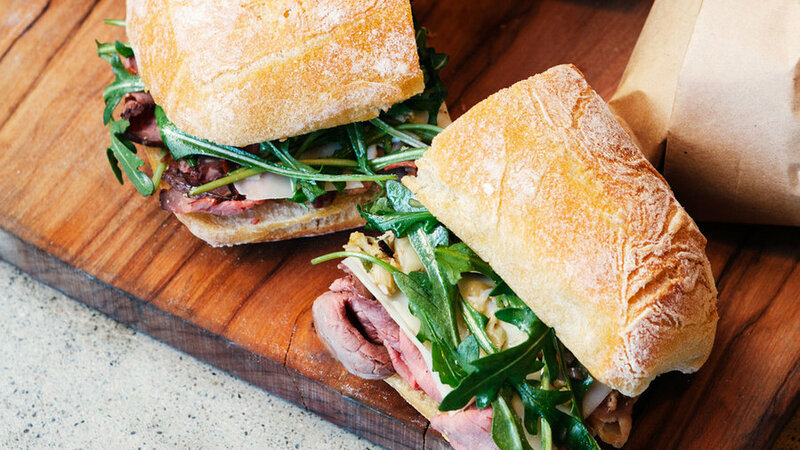 Lines often snake out the door for the pan-cetta, salami, and piled-high sandwiches made by the family of star chef Mario Batali. On Fresh Sausage Fridays, they also sell links to take home to cook, like ginger-chili salumi sausage, luganega with vermouth, and fennel sausage. Our pick: A hunk of salt-and-pepper guanciale, pork jowl cured for 70 days. 309 Third Ave. S.
Los Angeles | . Before husband and wife Nathan McCall and Karen Yoo opened McCall’s, Los Feliz residents had to leave the neighborhood for great seafood. No longer—diver scallops and wild Alaska halibut are available at this fishmonger. McCall hits the downtown fish markets daily to select every piece, removes scales and bones, and cuts each one to the right serving size. Our pick: Branzino from Greece. 2117 Hillhurst Ave.
San Diego | . 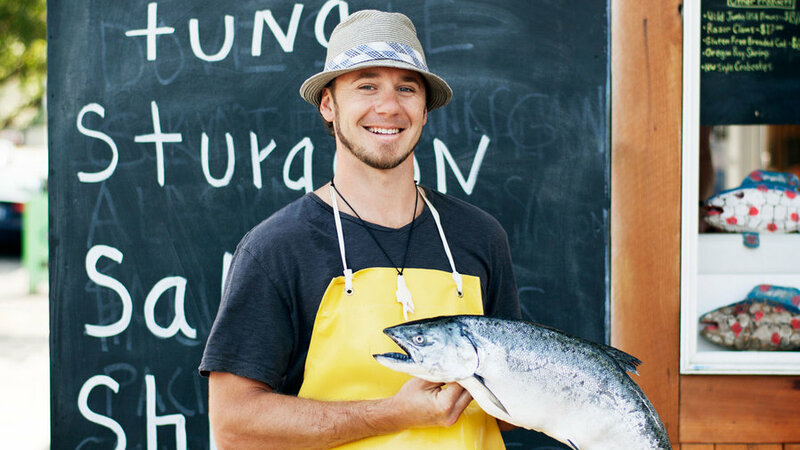 This thriving wholesaler welcomes walk-ins seeking sustainable black cod, tender grouper, California spiny lobster, or sea bass caught in local waters by longtime San Diego or Baja anglers. Ask for Tommy Gomes: Son of a Portuguese fisherman, he knows all and happily shares tips. On Fridays and Saturdays, there are free cooking demos. Our pick: Fresh uni (sea urchin). A slurpy mouthful is a taste of the briny Pacific. 5202 Lovelock St.
Santa Monica | . Above a massive horseshoe display case bursting with bright, fresh seafood, a huge sign lists what’s in stock and, of course, where it’s from. If you’re lucky, they’ll have spot prawns from Santa Barbara. Pick up a whole whitefish and let the fishmongers fillet or butterfly it for you. Starving? Sit down for a bowl of cioppino. Our pick: Indian Candy, salmon covered in brown sugar and smoked over hardwood. 1000 Wilshire Blvd. (also in Costa Mesa). 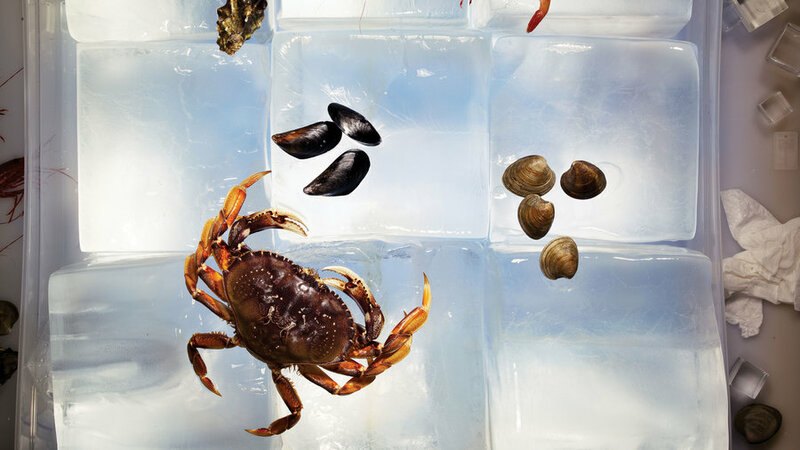 Salt Lake City | This tiny store is the landlocked food-lover’s link to the ocean. Manned by sassy guys who know their stuff, it’s as fragrant as a pier, with just enough elbow room to point toward the changing showcase of wild-caught tuna and fresh mollusks, all expertly cut and packed with ice. Our pick: Housemade fish pâté for your weekend brunch. 314 West 300 South. Portland | (pictured). Once just a roaming truck, now a seafood shack adjoining a produce market as well, Flying Fish has existed in some form since 1979. Today, Lyf (pronounced “leaf”) Gildersleeve runs his own branch of his father’s Idaho company with a commitment to good sources. Fish like Oregon albacore tuna and halibut cheeks are fresh right off the boat, never frozen. Our pick: Live Oregon razor clams, along with Gildersleeve’s tips on how to prepare them. 2310 S.E. Hawthorne Blvd. Seattle | . No one knows oysters like Taylor, Washington’s premier producer. At the Seattle storefront, which doubles as an oyster bar, shopping is often more show-and-taste than pick-and-pay. 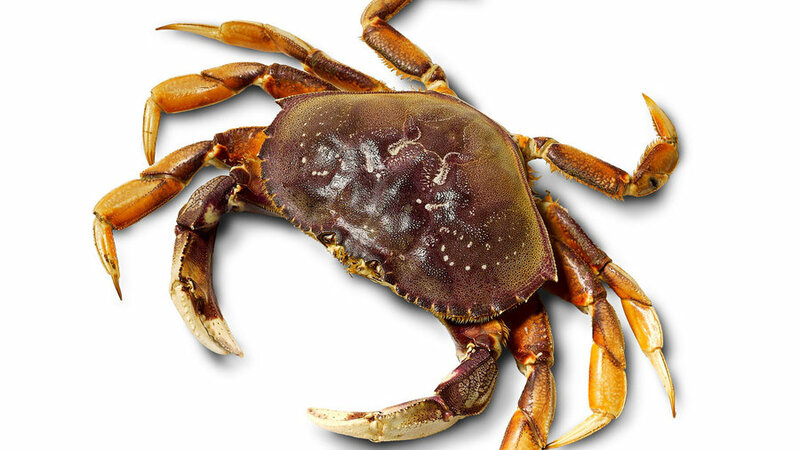 They also carry live mussels, scallops, clams, and crabs. Our pick: A few dozen small, jewel-like Kumamotos. That gorgeous frilly edge makes them the perfect appetizer. 1521 Melrose Ave.
Santa Barbara | When Michael and Kathryn Graham opened up shop in 2003, Santa Barbara got the boon of their 140-choice case and the chance to taste and learn. Monthly classes lay out the difference between, say, Swiss cheeses like Challerhocker and Scharfe Maxx. Michael relishes salumi so much (plain to see from the charcuterie selection) that he developed the Salumi iPhone app, a tool that helps you navigate the world of cured meats. You can sort by animal or region or search A to Z. Our pick: The grilled sandwich with raw goat cheddar, goat gouda, Spanish chorizo, roasted piquillo peppers, and arugula. 825 Santa Barbara St.
Santa Monica | . Emiliano Lee believes cheeses are like babies: They can’t talk but need to be cared for. That’s why he spends 85 percent of his time cleaning, drying—even doing triage—on the ones in his case. Lee is cozy with small producers in the West who allow him to offer such standouts as Rogue River Creamery’s crumbly raw-milk blue from Central Oregon. 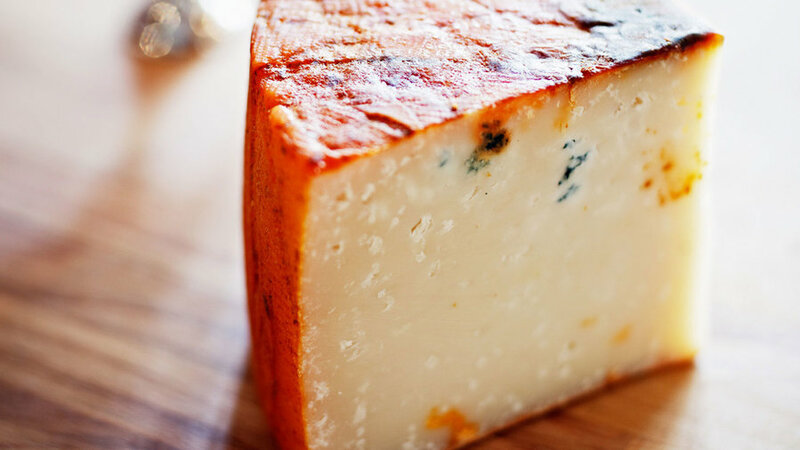 Our pick: A jar of quince paste from L.A. jam maker Sqirl, perfect with sheep’s-milk cheese. 225 26th St.
Sonoma | (pictured). A few steps from the Sonoma Square, this market/cafe run by cheesemaker Sheana Davis brims with her hand-chosen small-batch selections. It’s a task she’s well suited for, as Davis knows not only the local creamery owners but also the goats, cows, and sheep. Our pick: Davis’s own Crème de Fromage, drizzled in local honey and homemade raspberry–rose petal jam. 122 W. Napa St.
Portland | . At this shop, there are chairs, a wine-and-beer list, and a chance to taste the cheeses sprinkled into, say, a freshly baked strata inspired by a hard cheddar. Care for a Belgian Framboise beer with that cow’s-milk cheese whose rind was washed in butter? Yes, please. Our pick: Housemade pimento cheese spread, with jalapeños and sharp American cheddar. 6031 S.E. Belmont St.
Boulder | (pictured). Cheese lovers in Boulder used to have to drive to Denver to get anything above supermarket selection. Lucky for them, Will and Coral Frischkorn returned from years in Spain and France to open Cured, an ode to the European shopping experience. 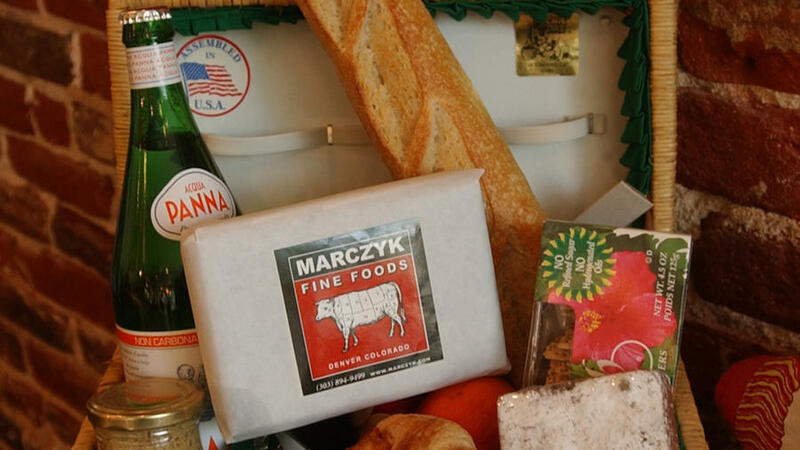 Their store stocks 80 cheeses that show off the surge in American artisanal cheesemaking. 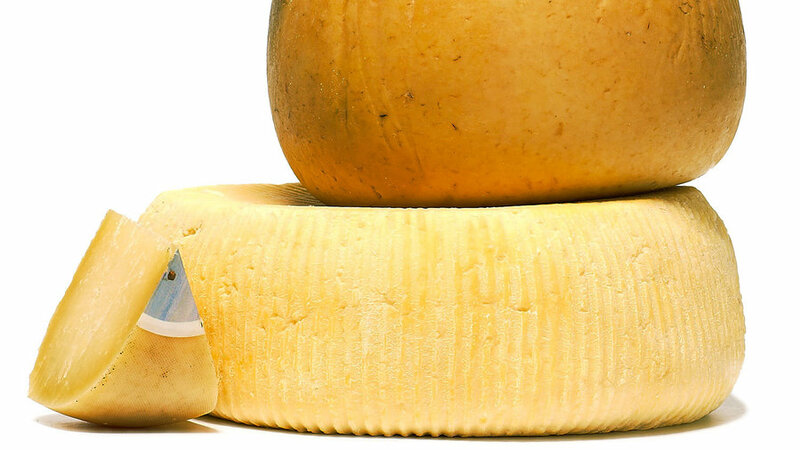 Our pick: Belford, a creamy gouda type from James Ranch in Durango. 1825 Pearl St.
Denver | . Don’t be bummed if there’s a line. It’ll give you the time to take in the pungent funk and the chance to see what others are ordering. When it’s your turn, let owners Rob and Karin Lawler lead you to a small-batch cheese you’d be unlikely to find elsewhere. Our pick: Avalanche Cheese Company’s Lamborn Bloomers, a creamy robbiola-style cheese made from the milk of goats raised in nearby Paonia. 2906 E. Sixth Ave.
Sacramento | . A combo of old-fashioned service (your bags get carried out) with up-to-date sourcing. And its sauerkraut is out of this world: thick cut, crunchy, and with whole spices. Popular local brands: Wintun Ranch grass-fed beef; local legend Pasta Dave’s fresh noodles. 2900 Freeport Blvd. San Francisco | (pictured). The grandpappy of this type of store, and prototype for many out-of-state chains and new local stores. 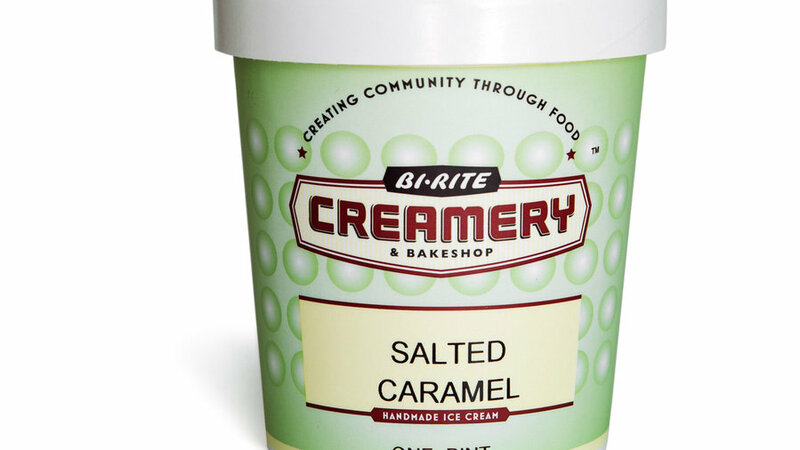 A whiz at ice cream—it sells its own brand here. Popular local brands: Chocolate made a block away at Dandelion Chocolate; produce from Bi-Rite’s own Sonoma farm; cheeses from Petaluma’s Andante Dairy. 3639 18th St.
Denver | (pictured). The owners are cooks obsessed with perfection. They curate by tasting most everything. Popular local brands: Colorado-grown pears and apples; heirloom pumpkins. 770 E. 17th Ave. and 5100 E. Colfax Ave.
Salt Lake City | . Housed in an old gas station, with a garage door that rolls up to reveal flowers, produce, and meats. Popular local brands: Redmond Real Salt; Desert Red Feta from micro dairy Rockhill Creamery. 1290 South 1100 East. Salt Lake City | . 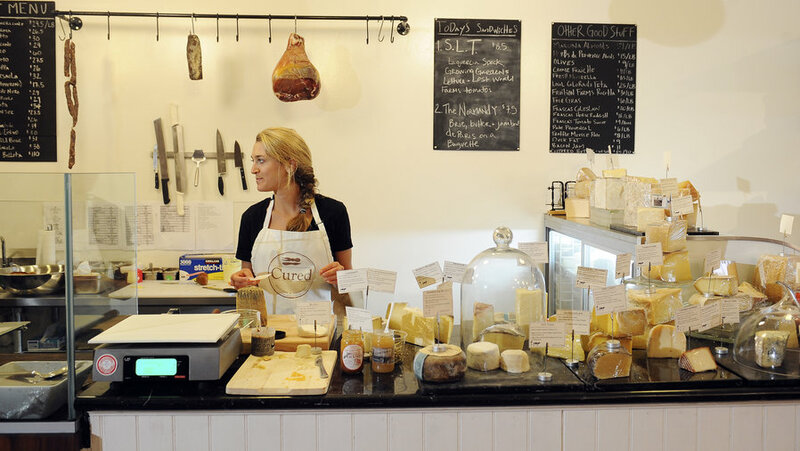 A bona fide cheese cave and a butcher that sells only sustainable meats. Cheese and chocolate classes taught by the proprietor’s son Matt Slide. Popular local brands: Ridge Honey Wine Vinegar; Snowy Mountain Sheep Creamery’s Ben Lomond Peak cheese. 314 West 300 South.